*** For Coaches/Trainers/Volunteers who have previously completed any accreditation your username, unless you have changed it, will be your Email OR your first name, surname and DOB in the format johnsmith01031979. If you need your username urgently, please contact support. 2019 RLB Volunteer Touch Judge Courses. If you have attended a Touch Judge course previously, it is compulsory to register for a 2019 course as as refresher. It is not compulsory for teams playing in Under 6 – Under 9 grades to provide Touch Judges who have attended a Touch Judge Course. Pine Central HS , Francis Rd, Bray Park. Souths Juniors, Mortimer Rd, Acacia Ridge. Valleys JRLFC, Bega St, The Grange. East Juniors, Scott Park, Harold St, Holland Park. Click HERE to register for one of these courses. Clubs may contact Paul Oliver (NRL Referee Development) if there any questions. For information and to registerCLICK HERE!! For information and to registerCLICK HERE!!! In 2019 for the MGCCourse, 1 x online link will be provided that all new coaches will need to complete. Once they’ve completed the online learning, coaches will then be able to nominate a face-to-face date to attend from the list below. This will be provided once it is made available to me. Thesecoursesshould be available in the next couple of weeks for our MGC coaches to register into. I will let you know ASAP when we are good to go! ‘Do you have a current Provide First Aid and CPR Certificate and if yes, send them the Recognition of Prior Learning link below. This will save them time and money as they have already learnt a portion of thecourse. o League First Aid (u6s-u15s & Saturday Only) – Cost is $80 –CLICK HERE!!! o Level 1 Sports Trainer (Saturday morning & Sunday) – Cost is $170 –CLICK HERE!!! o CPR Update (Saturday morning only) – Cost is $40 –CLICK HERE!!! o Level 2 Sports TrainerCourse– Cost is $350 –CLICK HERE!!! o Level 1 Sports Trainer (Saturday morning & Sunday) – Cost is $170CLICK HERE!! Sports Trainers (Level 1 or Level 2) needing to reaccredit on these weekends can find the relevantcoursevia theCOURSEFINDER!! Please find below full list of Modified Games Coaching, International Games Coaching and Sports Trainer courses. Please note that there are changes to the MGC courses, and there are sports trainer reaccred courses that will be added when made available. Also, any clubs that are interested in hosting coach or volunteer updates, please feel free to contact me. For information and to register,CLICK HERE!!! In 2019 for the MGC Course, 1 x online link will be provided that all new coaches will need to complete. Once they’ve completed the online learning, coaches will then be able to nominate a face-to-face date to attend from the list below. This will be provided once it is made available to me. ‘Do you have a current Provide First Aid and CPR Certificate?’, and if yes, send them the Recognition of Prior Learning link below. This will save them time and money as they have already learnt a portion of the course. League First Aid (u6s-u15s & Saturday Only) – Cost is $80 –CLICK HERE!!! Level 1 Sports Trainer (Saturday morning & Sunday) – Cost is $170 –CLICK HERE!!! CPR Update (Saturday morning only) – Cost is $40 –CLICK HERE!!! Level 1 Sports Trainer Reaccreditation (Saturday Only) – Cost is $60 –CLICK HERE!!! Level 2 Sports Trainer Reaccreditation (Saturday Only) – Cost is $60 –CLICK HERE!!! Level 2 Sports Trainer Course – Cost is $350 –CLICK HERE!!! Sports Trainers (Level 1 or Level 2) needing to reaccredit on these weekends can find the relevant course via theCOURSE FINDER!! 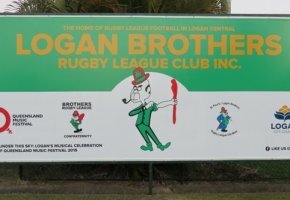 Welcome to Logan Brothers Rugby League Club - 2016 Champion Club of the Year & 2015 Champion Club of the Year and Premier Club of the Year. 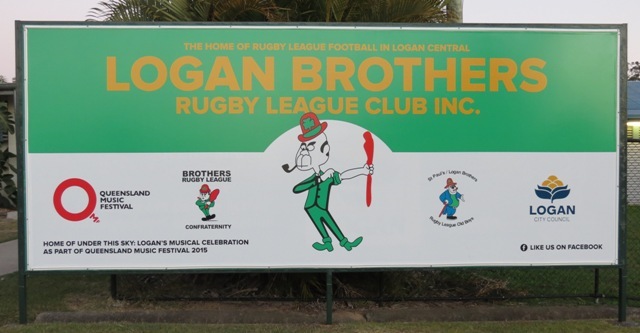 Logan Brothers is a proudly diverse multi-cultural club which promotes participation in the game with a positive or it's pointless attitude. We are constantly growing with a player membership in 2015 of 780 junior players and 130 senior players. Our club's mission is to create a family friendly environment where everyone can learn about the game of rugby league. We are Logan Brothers and we WON TODAY!